Ecclesall Kids Club was formed over 20 years ago and is run by a Committee of parents who use our Clubs and former parents, for you, our members. We rely on the support of our parent members and as existing committee members leave we need new parents to join us. Without new parent committee members to replace those who leave we cannot continue to our offer our clubs. We have an AGM once a year in November which we encourage parent members to attend so you can see the direction of travel for the club going forward, see how we are performing and hopefully some of you might decide to join us then, if not before. The Club started with small beginnings and was set up by a few parents needing wrap-around child care for themselves. We have grown into a sizeable Infant Club and an even bigger Junior Club due to increasing demand over the years. We currently have 84 after school and 60 breakfast club children on roll at our Infants Club, where we are oversubscribed and 54 breakfast club children and 109 afterschool on roll at Juniors where we have a few places. We work closely with Ecclesall Infant and Junior Schools and we use their premises to operate but we are independent and we have our own Ofsted Registration for each club. We are not for profit and because of that we are able to keep our prices low and are able to run sessions and Holiday Club for our parent members, even when we have low numbers, which rarely happens. In 2017, we are beginning the process of modernising what we do, including our systems and processes. We’ll be making improvements to our payment and invoicing systems this year and embracing new ways of doing things —look out for our newsletter and website, coming soon! A key area we want to focus on is improving our communications with our parent members, telling you more about what your children are doing when they are with us and also providing information about real issues we are all grappling with such as E-Safety. We will be putting mechanisms in place so you can give us feedback where you think we are doing well and let us know where we can do better to support the development of our people and also to support continuous improvement of the Club operations. Our dedicated infants club and juniors club staff are our asset, as you’ll see from their biographies, most are fully qualified and have years of experience in caring for children, they have current DBS checks and are all trained in Safeguarding and Food Hygiene. We always have at least one experienced Paediatric First Aider at every session we run and these are supported by staff with basic First Aid training. Many of our people also have other qualifications that are relevant to their role including helping to support children with special needs. We take pride in the ability to retain our staff as we feel that continuity is really important for our children but we also welcome new faces when they come along, as our supply staff can also bring new energy and ideas to our settings. Many of them are planning their careers in working with children, teaching or sports coaching and have lots of enthusiasm in the new role. 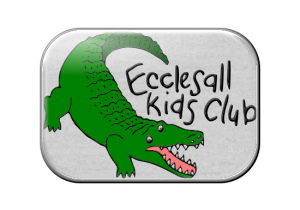 The text and the crocodile logo images on this website are © Ecclesall Kids Club unless detailed otherwise. The fruit and veg clip art is provided by Freepik and is in the public domain. This website was created by Pat Wallace from Urban Hermit web design using a modified Ixion Theme.